In the wake of reports that a key federal consumer protection agency is considering pulling back from efforts to protect service members from predatory lenders, 49 senators have signed a letter asking for a commitment that the bureau will continue to ensure troops are protected. Rather than actively examining lenders’ records to determine whether they are following the law under the Military Lending Act, several sources say the CFPB instead would rely on complaints from service members and their families to trigger potential investigations. CFPB officials reportedly have expressed a concern that they don’t have the authority to conduct these lender examinations, although they have been doing so for years. According to the CFPB, their enforcement actions have resulted in about $130 million that has been provided in relief to service members, veterans and their families. The possible change was first reported in the New York Times. The move wouldn’t change the law itself, only the enforcement techniques. In the past, some lenders have expressed concern to Military Times about what they perceived as aggressive and unfair practices by the CFPB. CFPB officials declined to specify the actions they are considering, whether they have already taken action, or how any changes could affect service members and their families. The act limits the maximum annual percentage rate to 36 percent on most consumer loans to active-duty military and their dependents, including application fees and certain other fees in the calculation. Generally, most loans' APR would be less than 36 percent, but loans with even higher interest rates, sometimes topping 300 percent, are still available to everyone else in the civilian community. The law also has other lending protections, such as preventing forced arbitration in lending disputes, which guarantees service members the right to take their case to court. While the Defense Department developed rules to implement the law, DoD doesn’t have authority to enforce it with lenders. That’s up to federal regulators of financial institutions, such as the CFPB and regulators of banks and credit unions. The CFPB is the only regulator that examines the practices of nonbank establishments such as payday lenders, vehicle title lenders, installment lenders and certain others. DoD does maintain a database that lenders must check to determine whether a customer is a service member or family member, making them ineligible for loan products with APRs topping 36 percent. Expanded protections went into effect in October. More go online later this year. “If the CFPB examiners are already in the buildings of lenders around the country checking for compliance with the laws, it doesn’t make sense if they’re putting blinders on with respect to the rights of our military service members,” said Christopher Peterson, a law professor at the University of Utah who has worked as an adviser for the CFPB and for DoD, and has done extensive research on payday lending and the military. Peterson, a senior fellow for the Consumer Federation of America, said that when he was at the CFPB, it was the considered legal opinion that the bureau has supervisory authority to examine lenders with regards to the Military Lending Act. “My hope is that CFPB will come to its senses and leadership of the bureau will conclude it has the authority, as it had before and continue to include these examinations,” he said. “If the bureau goes through with this, it means that there will be less monitoring and less deterrence in the marketplace. It doesn’t by itself change the service member’s underlying legal rights, but it probably means it will be more likely over time that those rights will be violated." “This is a big change, it’s an important change in how the bureau is viewing its obligation to service members and their families,” said Tom Feltner, director of research for the Center for Responsible Lending. 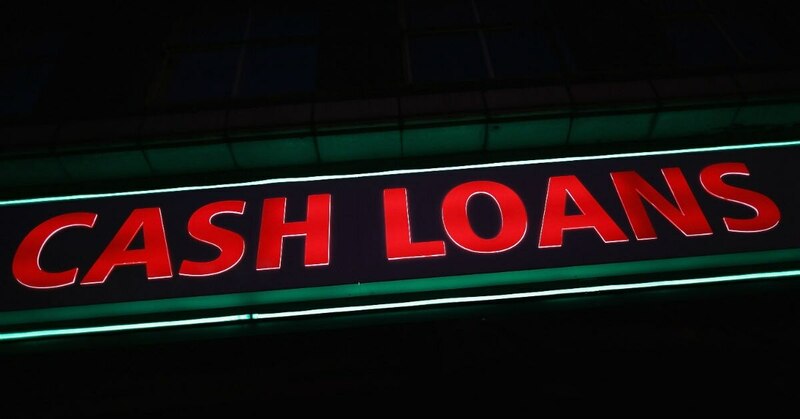 He pointed to the first enforcement action taken by the CFPB in 2013 against Cash America, a payday lender, “that found widespread overcharging of service members, aggressive collection practices, robo-signing of documents, a total lack of internal compliance." "That violation was uncovered by examiners who are examining Cash America’s practices as part of their routine supervisory authority,” he said. Peterson and other advocates said it’s puzzling why CFPB is considering such a move. “The Military Lending Act and the regulation implementing it have had the desired effect. It has had the wonderful effect in getting some of the harmful financial products away from our service members,,” said Paul Kantwill, senior fellow at Loyola University Chicago School of Law, and, until recently, assistant director for servicemember affairs at the CFPB. “I don’t understand why folks want to move away from the great progress we’ve made with respect to protecting service members and enhancing mission readiness,” said Kantwill, a retired Army colonel who was also director of legal policy for the DoD undersecretary of personnel and readiness.